Just received this photo of one of my paintings which has found a lovely new home. It's fantastic when people want to own one of my paintings but to then see where they have chosen to hang it in their home is wonderful. Sometimes the time between completing a painting, handing it over to a gallery and it then selling can be very short and I don't always get the time I want with the painting before it disappears. 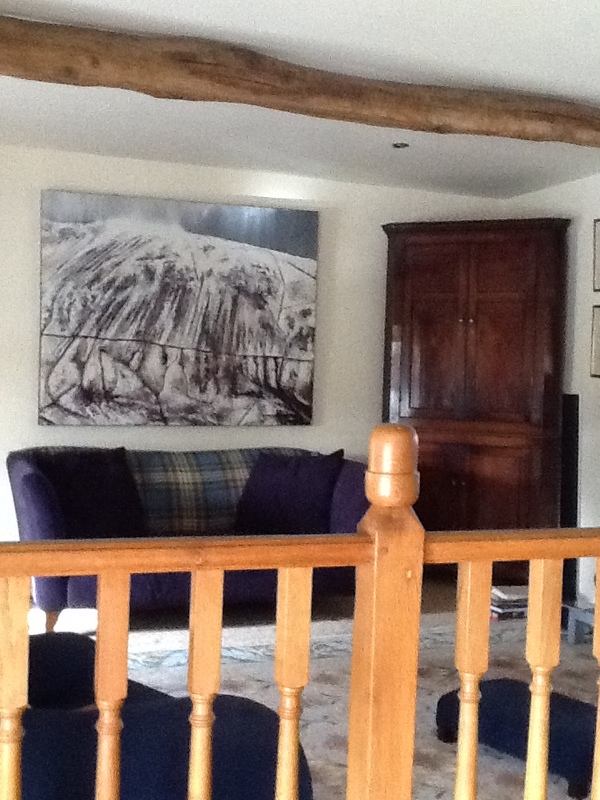 So if anyone else wishes to share with me photos of my paintings in situ then please do send them through to me. Many thanks to John for sending this photo of Fairfield and more importantly for giving it a very lovely new home.